I mentioned earlier this week that my men’s Bible study is going through Mere Christianity by C. S. Lewis. We just finished reading the first section of the book, “Right and Wrong as a Clue to the Meaning of the Universe.” As I always enjoy the discussions that arise from our readings, I thought I would share a bit with you. I find if difficult (near impossible, really) to synopsize (new word I just made up) Lewis’ thoughts without trying to simply re-write the book word for word. He does such a good job of leading readers through the logical progression of a moral basis for the belief in a higher power that I suggest you just read the full version. However, since I set out to provide a bite-size version for my blog readers, I’ll have a go at it. Chapter 1: The Law of Human Nature | Humans believe that some morality is universally shared (like broken promises are not good), but we don’t always adhere to these universally shared morals (people still break promises). Chapter 2: Some Objections | Isn’t what we are talking about really just our herd instinct, something that evolution put there? No, we are talking about the abandonment of self-preservation (an evolutionary idea) in favor or doing something good for a higher reason. Chapter 3: The Reality of the Law | Stones follow the Law of Gravity when they fall; they have no choice in the matter. Humans live according to the Law of Human Nature when they interact with each other; they choose whether to do good or not. Some people say that decent conduct is determined not on an individual basis, but by the human race as a whole, as in the example that it is better for everyone if everyone is unselfish. But this breaks down when the individual is concerned. If you ask “Why should I care what is good for society except when it happens to pay me personally?” then you will have to say, “Because you ought to be unselfish”, which is circular logic. Just like if a person asks, “Why should I play football?” and a person responds, “In order to score the most points.” That isn’t why at all, it is simply part of the game. The fact that the game exists is because someone came up with it. Accordingly, the concept of morality exists because something came up with it, and it cannot be ourselves because it existed before we were born, and it cannot be an evolutionary trait, because then we would always act as we ought to act (which we don’t). Chapter 4: What Lies Behind the Law | The question is this: Is the universe the way it is for no particular reason or is there a power that designed it to be what it is? If it exists, the power cannot be part of what is observable any more than an architect of the house can be a wall or a fireplace in the house. So how can we find this higher power? If we observe nature scientifically, we can see the truth of how things happen, but not why things happen. The only evidence that we have about why humans behave as humans do is because we are humans. Is it a coincidence then that in the only place where we can observe whether a higher power created a system of ethics, we find that one exists? We aren’t yet to the point of believing in a Christian God yet, simply that some power has determined a system of morality for us to either abide by or feel bad when we do not. Chapter 5: We Have Cause to be Uneasy | If you feel like I am tricking you into believing in the Christian God, that was not my intention. I am simply pointing out the way things seem to be. If you think that we have tried the religious thing before and we can’t turn the clock back, consider that when you are going the wrong direction, the most sensible thing to do is turn around. Secondly, all we have so far is that something like a mind that is outside of our universe has designed things in a way that proves morality by showing our immorality, nowhere near the Christian God yet. Thirdly, my reason for the roundabout way was to show the existence of depravity in order to show the need for forgiveness. You do not go to the doctor until you realize that you are sick. The Christian religion responds to the facts that we have been presented with, but they are not always the comfort that people imagine them to be. We still have to face the fact that the world is a dangerous place, that people both love goodness (when they experience it) and hate goodness (when they choose to be mean), and that if there is a higher power that provided us with a sense of morality, then we have bungled it up completely and we’ll have to answer to that in some way. So, there’s what we’ve gone through so far. 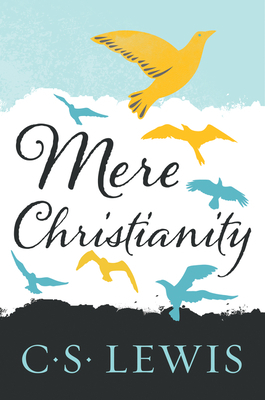 Mere Christianity is one of the few non-fiction books that I genuinely enjoy. If you haven’t read it, I highly recommend it. If you want to join our Bible study in an online way, comment below and we’ll include you in emails and such. Do you have thoughts that you want to share based on my poor synopses above? Please do. Let’s start a discussion! – Mere Inkling: A place where faith, history & writing converge. P. S. I’m still looking for guest posts.